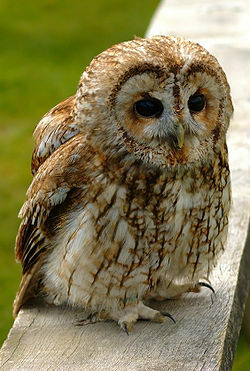 The Jennie houlet (Strix aluco) is a laich-set, middlin houlet for ordinar fund in widlands athort a hantle o Eurasie. Its unnerpairts are fauch wi derk spraings, an the upperpairts are aither broun or gray. Wikimedia Commons haes media relatit tae Strix aluco. This page wis last eeditit on 11 Mairch 2018, at 20:07.